Furnished by LIVING DIVANI the Extrasoft composition in fabric color anthracite, displaying an informal appearance and soft comfort, where welcoming and cosy elements are placed alongside each other in regular geometries, the Poncho armchairs designed by LucidiPevere, the Filo Outdoor sofa. Thanks to an important real estate requalification project carried out by Unipol with the aim of valorising some of the most important Milanese buildings belonging to the Group, the Velasca Tower makes a comeback as one of the protagonists of Milan’s urban landscape. The square below has been made accessible to the public once more, thanks to the urban design project entitled Opening Velasca interpreted by Piero Lissoni. Under the metal structure built to support future scaffolding necessary for the restoration of all the external elements of the Tower, a city garden has been created all along the perimeter of the building. A place in which the industrial aesthetics of the scaffolding become an element of décor, mingled with the refinement of design furnishings. This project has brought about the extraordinary transformation of a place of transit into an ideal space for a relaxing pause. Opening Velasca has also transformed the Tower interiors. In fact, a new showroom space has been opened on the ground floor for holding exhibitions, conferences and forums on architectural and design topics. The first appointment on the agenda is sure to arouse a good deal of interest: also designed by Piero Lissoni and curated for the occasion by Alberico Barbiano di Belgiojoso, the space in fact is being inaugurated by an exhibition dedicated to the architectural firm BBPR, which signed the original building project in the early 50’s. The exhibition, entitled Torre Velasca. History, Architecture and design, displays reproductions of original photographs and a number of objects which underpin the architectural value of the Tower within the historical context it was conceived in. To complete the Opening Velasca project, the attic floor has been fitted out to host exclusive events, from where it is possible to enjoy a Milanese skyline, as never seen before. A number of leading firms on the Italian design scene have been called on to furnish the various areas. 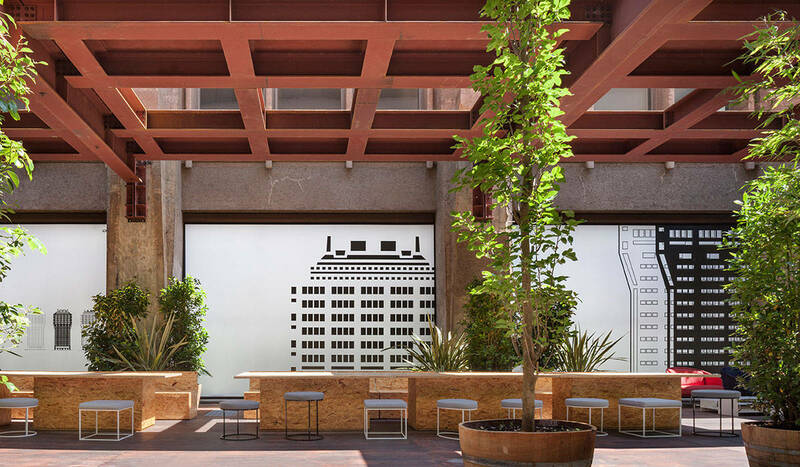 In the external space skirting the perimeter of the building, Living Divani presents various outdoor configurations featuring some of the latest novelties and more famous pieces from its collections, whilst Flos has provided the lighting systems. 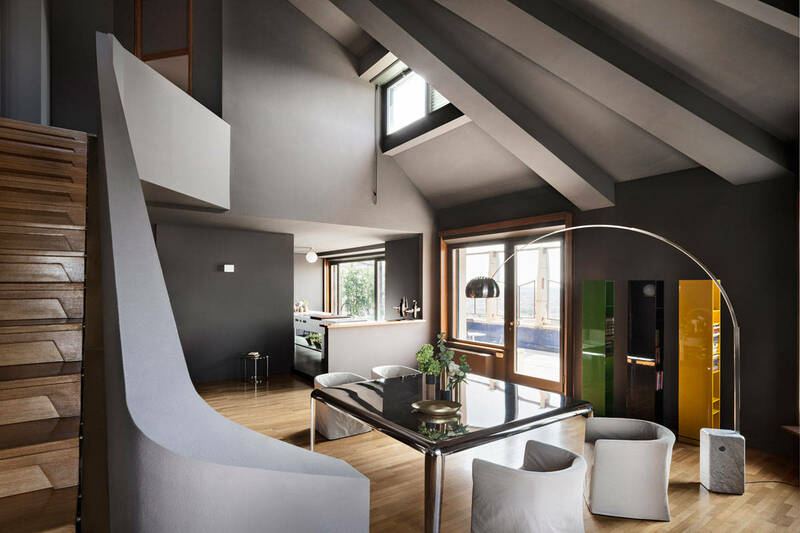 A visit to the attic floor will reveal an open plan kitchen by Boffi with lounge furnishings and systems by Porro, whilst Living Divani has signed the upholstered elements and accessories used to furnish the indoor lounges and the terrace. Here too, Flos has supplied the internal and external decorative lighting systems. Finally, Arflex has provided the furnishing elements for the exhibition space on the ground floor, whilst Flos has supplied luminaires from its architectural collection. 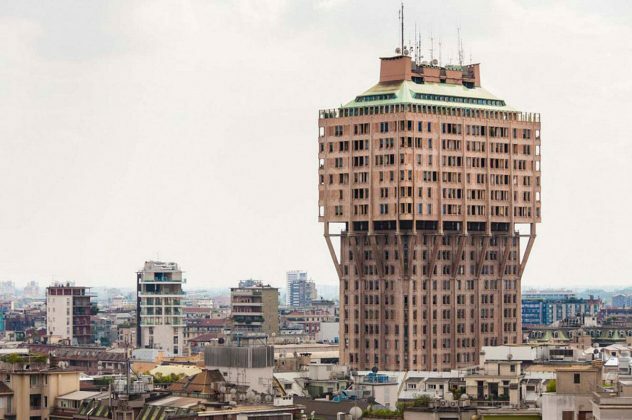 “The Torre Velasca – states Gian Luca Santi, Unipol Sai General Manager of Real Estate and Diversified Companies – is one of our trophy assets which, for some time now, has been in need of a new concept and presentation. So, it was decided to implement a requalification process to make one of Milan’s most significant buildings accessible once again to the city’s inhabitants and visitors. A contribution made by the Unipol Group in favour of Milan, at a time when the city is addressing the world as a capital of modernity and culture”.